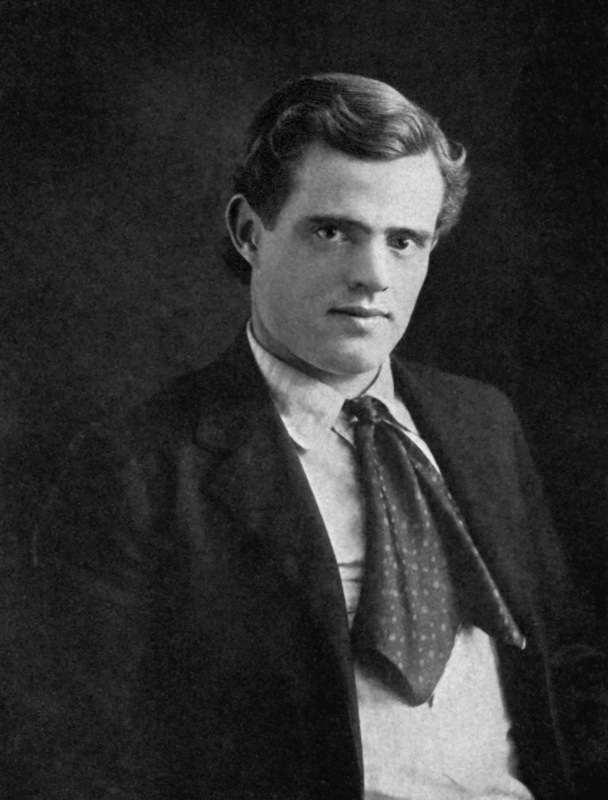 This is an essay written by Jack London in 1905, with some minor changes. I was born in the working-class. Early I discovered enthusiasm, ambition, and ideals, and to satisfy these became the problem of my child-life. My environment was crude, rough, and raw. I had no outlook, but an uplook rather. My place in society was at the bottom. Here life offered nothing but sordidness and wretchedness, both of the flesh and the spirit, for here flesh and spirit were alike: starved and tormented. Above me towered the colossal edifice of society, and to my mind the only way out was up. Into this edifice I early resolved to climb. Up above, men wore black clothes and boiled shirts, and women dressed in beautiful gowns. Also, there were good things to eat, and there was plenty to eat. This much for the flesh. Then there were the things of the spirit. Up above me, I knew, were unselfishnesses of the spirit, clean and noble thinking, keen intellectual living. I knew all this because I read “Seaside Library” novels, in which, with the exception of the villains and adventuresses, all men and women thought beautiful thoughts, spoke a beautiful tongue, and performed glorious deeds. In short, as I accepted the rising of the sun, I accepted that up above me was all that was fine and noble and gracious, all that gave decency and dignity to life, all that made life worth living and that remunerated one for travail and misery. But it is not particularly easy for one to climb up out of the working-class—especially if he or she is handicapped by the possession of ideals and illusions. I lived on a ranch in California, and I was hard put to find the ladder whereby to climb. I early inquired the rate of interest on invested money, and worried my child’s brain into an understanding of the virtues and excellencies of that remarkable invention of humankind, compound interest. Further, I ascertained the current rates of wages for workers of all ages, and the cost of living. From all this data, I concluded that if I began immediately and worked and saved until I was fifty years of age, I could then stop working and enter into participation in a fair portion of the delights and goodness that would then be open to me higher up in society. Of course, I resolutely determined not to marry, while I quite forgot to consider at all that great rock of disaster in the working-class world—sickness. But the life that was in me demanded more than a meager existence of scraping and scrimping. Also, at ten years of age, I became a newsboy on the streets of a city, and found myself with a changed uplook. All about me were still the same sordidness and wretchedness, and up above me was still the same paradise waiting to be gained—but the ladder whereby to climb was a different one. It was now the ladder of business. Why save my earnings and invest in government bonds, when, by buying two newspapers for five cents, with a turn of the wrist I could sell them for ten cents and double my capital? The business ladder was the ladder for me, and I had a vision of myself becoming a bald headed and successful merchant prince. Alas for visions! When I was sixteen, I had already earned the title of “prince.” But this title was given me by a gang of cut-throats and thieves, by whom I was called “The Prince of the Oyster Pirates.” And at that time, I had climbed the first rung of the business ladder. I was a capitalist. I owned a boat and a complete oyster-pirating outfit. I had begun to exploit my fellow creatures. I had a crew of one man. As captain and owner I took two-thirds of the spoils, and gave the crew one-third, though the crew worked just as hard as I did and risked just as much its life and liberty. This one rung was the height I climbed up the business ladder. One night, I went on a raid among Chinese fishermen. Ropes and nets were worth dollars and cents. It was robbery, I grant, but it was precisely the spirit of capitalism. The capitalist takes away the possessions of his or her fellow creatures by means of a rebate, or of a betrayal of trust, or by the purchase of senators and supreme court judges. I was merely crude. That was the only difference. I used a gun. But my crew that night was one of those inefficients against whom the capitalist is wont to fulminate, because, forsooth, such inefficients increase expenses and reduce dividends. My crew did both. What of his carelessness he set fire to the big mainsail and totally destroyed it. There were not any dividends that night, and the Chinese fishermen were richer by the nets and ropes we did not get. I was bankrupt, unable then to pay sixty-five dollars for a new mainsail. I left my boat at anchor and went off on a bay-pirate boat on a raid up the Sacramento River. While away on this trip, another gang of bay pirates raided my boat. They stole everything, even the anchors; and later on, when I recovered the drifting hulk, I sold it for twenty dollars. I had slipped back the one rung I had climbed, and never again did I attempt the business ladder. From then on, I was mercilessly exploited by other capitalists. I had the muscle, and they made money out of it while I made but a very indifferent living out of it. I was a sailor before the mast, a longshoreman, a roustabout; I worked in canneries, factories, and laundries; I mowed lawns, and cleaned carpets, and washed windows. And I never got the full product of my toil. I looked at the daughter of the cannery owner, in her carriage, and knew that it was my muscle, in part, that helped drag along that carriage on its rubber tires. I looked at the son of the factory owner, going to college, and knew that it was my muscle that helped, in part, to pay for the wine and good fellowship he enjoyed. But I did not resent this. It was all in the game. They were the strong. Very well, I was strong. I would carve my way to a place among them and make money out of the muscles of other men. I was not afraid of work. I loved hard work. I would pitch in and work harder than ever and eventually become a pillar of society. I had been born in the working-class, and I was now, at the age of eighteen, beneath the point at which I had started. I was down in the cellar of society, down in the subterranean depths of misery about which it is neither nice nor proper to speak. I was in the pit, the abyss, the human cesspool, the shambles and the charnel-house of our civilization. This is the part of the edifice of society that society chooses to ignore. Lack of space compels me here to ignore it, and I will say only that the things I saw there gave me a terrible scare. I was scared into thinking. I saw the naked simplicities of the complicated civilization in which I lived. Life was a matter of food and shelter. In order to get food and shelter, people sold things. The merchant sold shoes, the politician sold his manhood, and the representative of the people, with exceptions, of course, sold his trust—while nearly all sold their honor. Women, too, whether on the street or in the holy bond of wedlock, were prone to sell their flesh. All things were commodities, all people bought and sold. The one commodity that labor had to sell was muscle. The honor of labor had no price in the marketplace. Labor had muscle, and muscle alone, to sell. I learned, further, that the brain was likewise a commodity. It, too, was different from muscle. A brain seller was only at his prime when he was fifty or sixty years old, and his wares were fetching higher prices than ever. But a laborer was worked out or broken down at forty-five or fifty. I had been in the cellar of society, and I did not like the place as a habitation. The pipes and drains were unsanitary, and the air was bad to breathe. If I could not live on the parlor floor of society, I could, at any rate, have a try at the attic. It was true, the diet there was slim, but the air at least was pure. So, I resolved to sell no more muscle, and to become a vender of brains. Then began a frantic pursuit of knowledge. I returned to California and opened the books. While thus equipping myself to become a brain merchant, it was inevitable that I should delve into sociology. There I found, in a certain class of books, scientifically formulated, the simple sociological concepts I had already worked out for myself. Other and greater minds before I was born had worked out all that I had thought and a vast deal more. I discovered that I was a socialist. The socialists were revolutionists, inasmuch as they struggled to overthrow the society of the present, and out of the material to build the society of the future. I, too, was a socialist and a revolutionist. I joined the groups of working-class and intellectual revolutionists, and for the first time came into intellectual living. Here I found keen-flashing intellects and brilliant wits; for here I met strong and alert-brained, withal horny-handed, members of the working-class; unfrocked preachers too wide in their Christianity for any congregation of Mammon-worshipers; professors broken on the wheel of university subservience to the ruling class and flung out because they were quick with knowledge which they strove to apply to the affairs of humankind. Here I found, also, warm faith in the human, glowing idealism, the sweetness of unselfishness, renunciation, and martyrdom—all the splendid, stinging things of the spirit. Here life was clean, noble, and alive. Here life rehabilitated itself, became wonderful and glorious; and I was glad to be alive. I was in touch with great souls who exalted flesh and spirit over dollars and cents, and to whom the thin wail of the starved slum child meant more than all the pomp and circumstance of commercial expansion and world empire. All about me were nobleness of purpose and heroism of effort, and my days and nights were sunshine and starshine, all fire and dew, with before my eyes, ever burning and blazing, the Holy Grail, Christ’s own Grail, the warm human, long-suffering and maltreated, but to be rescued and saved at the last. As a brain merchant, I was a success. Society opened its portals to me. I entered right in on the parlor floor, and my disillusionment proceeded rapidly. I sat down to dinner with the masters of society, and with the wives and daughters of the masters of society. The women were gowned beautifully, I admit; but to my naive surprise, I discovered that they were of the same clay as all the rest of the women I had known down below in the cellar. “The colonel’s lady and Judy O’Grady were sisters under their skins”—and gowns. It was not this, however, so much as their materialism, that shocked me. It is true, these beautifully gowned, beautiful women prattled sweet little ideals and dear little moralities; but in spite of their prattle, the dominant key of the life they lived was materialistic. And they were so sentimentally selfish! They assisted in all kinds of sweet little charities, and informed one of the fact, while all the time the food they ate and the beautiful clothes they wore were bought out of dividends stained with the blood of child labor, and sweated labor, and of prostitution itself. When I mentioned such facts, expecting in my innocence that these sisters of Judy O’Grady would at once strip off their blood-dyed silks and jewels, they became excited and angry, and read me preachment about the lack of thrift, the drink, and the innate depravity that caused all the misery in society’s cellar. When I mentioned that I could not quite see that it was the lack of thrift, the intemperance, and the depravity of a half-starved child of six that made it work twelve hours every night in a Southern cotton mill, these sisters of Judy O’Grady attacked my private life and called me an “agitator”—as though that, forsooth, settled the argument. I talked in hotels and clubs and homes and Pullmans and steamer-chairs with captains of industry, and marveled at how little traveled they were in the realm of intellect. On the other hand, I discovered that their intellect, in the business sense, was abnormally developed. Also, I discovered that their morality, where business was concerned, was nil. It was the same everywhere, crime and betrayal, betrayal and crime—men who were alive, but who were neither clean nor noble, men who were clean and noble but who were not alive. Then there was a great, hopeless mass, neither noble nor alive, but merely clean. It did not sin positively nor deliberately, but it did sin passively and ignorantly by acquiescing in the current immorality and profiting by it. Had it been noble and alive it would not have been ignorant, and it would have refused to share in the profits of betrayal and crime. I discovered that I did not like to live on the parlor floor of society. Intellectually, I was bored. Morally and spiritually I was sickened. I remembered my intellectuals and idealists, my unfrocked preachers, broken professors, and clean-minded, class-conscious workingmen. I remembered my days and nights of sunshine and starshine, where life was all a wild sweet wonder, a spiritual paradise of unselfish adventure and ethical romance. And I saw before me, ever blazing and burning, the Holy Grail. So I went back to the working-class, in which I had been born and where I belonged. I care no longer to climb. The imposing edifice of society above my head holds no delights for me. It is the foundation of the edifice that interests me. There I am content to labor, crowbar in hand, shoulder to shoulder with intellectuals, idealists, and class-conscious workingmen, getting a solid pry now and again and setting the whole edifice rocking. Some day, when we get a few more hands and crowbars to work, we will topple it over, along with all its rotten life and unburied dead, its monstrous selfishness and sodden materialism. Then we will cleanse the cellar and build a new habitation for humankind, in which there will be no parlor floor, in which all the rooms will be bright and airy, and where the air that is breathed will be clean, noble, and alive. Where Does Personal Identity Reside? Next story How did Hitler use propaganda to gain support? Previous story How Evil is presented in the Novel?